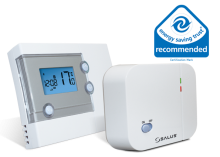 This wirelessthermostat is ideal for use in situations where it is impractical or inconvenient to run wires between thethermostat location and other controls within the heating system. The RF version has all the benefits of theRT500 with added simplicity of no wires and no messy changes to the decor. 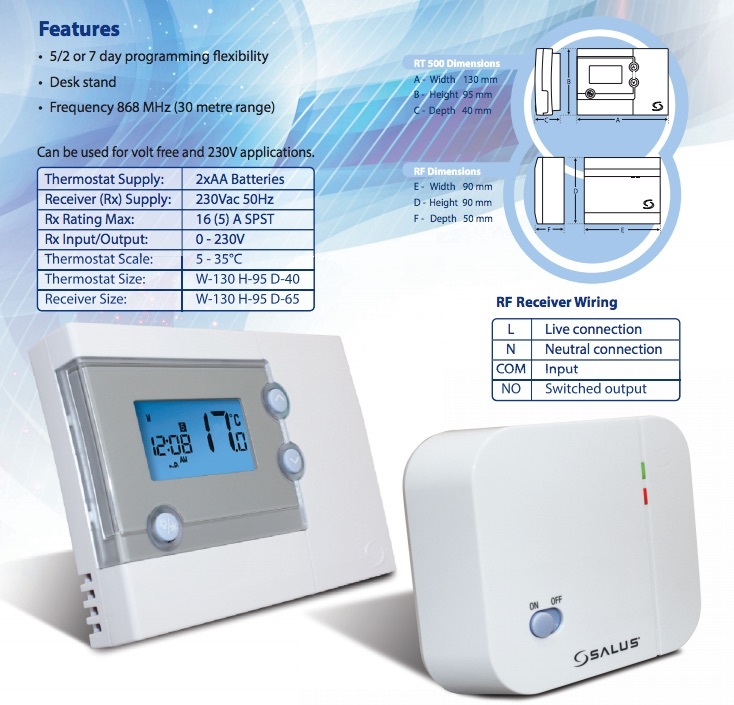 Radio frequency digital programmable room thermostat with large backlit LCD display. 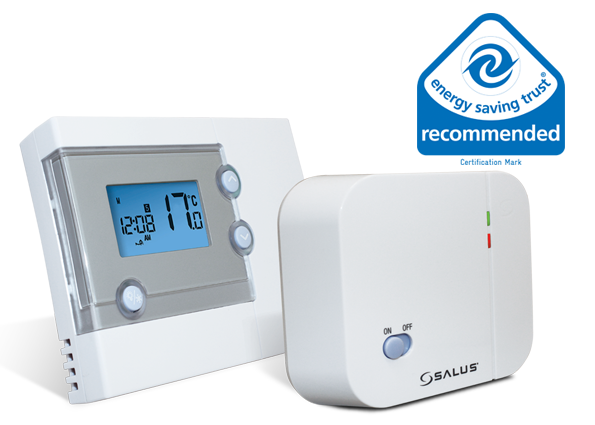 Click the button below to add the Salus Wireless Thermostat RT500RF to your wish list.